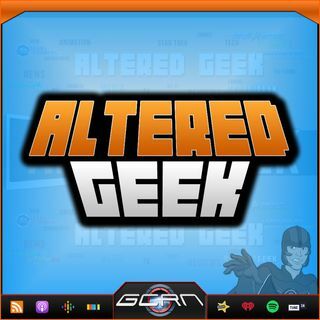 On "Altered Geek," Steve is flies solo to discuss his journey for the week. He discusses a multitude of topics ranging from Meatless Burgers: The Impossible Burger and Beyond Burger, Kids Animation Online, Netflix's Bad Animation, Netflix Streaming in the Air, Battle of the Streaming Services, 'Downsizing' Film, Return to Franchises with Jamie Lee Curtis in Halloween and Arnold and Linda Hamilton in Terminator 2 Sequel, iTunes 48 Hour Rentals, Battlefield 1 Incursions ... See More Alpha. All this and more on Altered Geek! We're now sponsored by GameFly and LootCrate, listen for details. Use the Hashtag #WhatsGeekyToYou with what you're geeking out to this week and we'll try to feature your topic in a future episode! To see more from Steve "Megatron" Phillips, stay tuned into "Altered Geek" and watch "Altered Geek" weekly or anytime on-demand on AlteredGeek.com and Blogtalkradio.